Leave it to Mother Nature... and Bigelow! 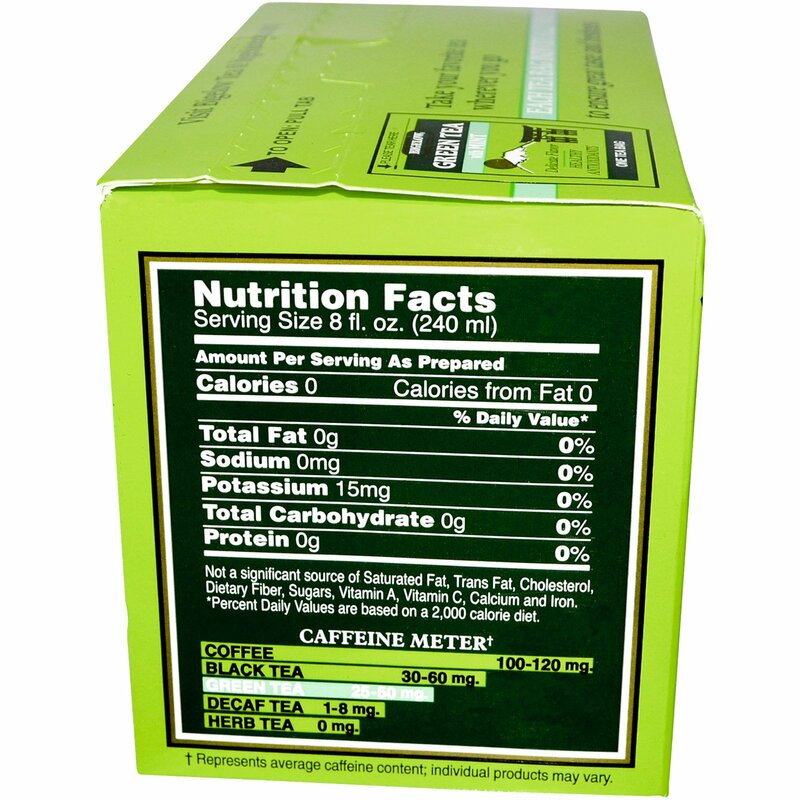 Mother Nature gave us a wonderful gift when she packed powerful antioxidants into green tea. But not all green tea tastes the same. To make all natural Green Tea with Mint, Bigelow uses only the finest quality tea that has been gown in higher-elevation gardens and gently processed to bring out the tea's natural, smooth flavor. Cool garden mint is then masterfully blended with the delicate green tea before wrapping each tea bag in its own protective pouch to seal in all the wonderful flavor and freshness. 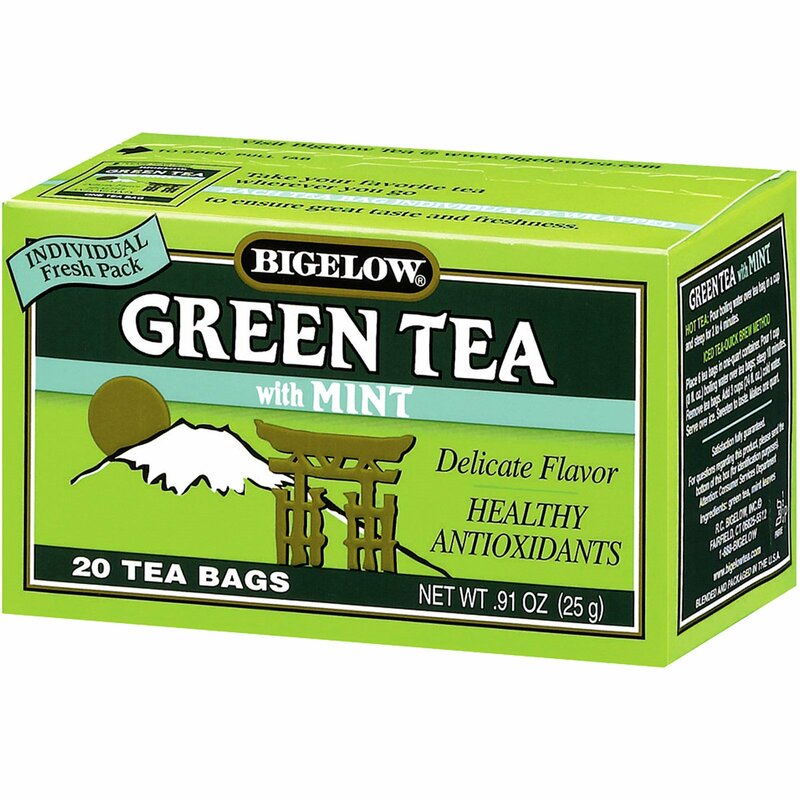 All natural Bigelow Green Tea with Mint takes green tea enjoyment to a whole new level. It's a great way to help you relax and enjoy a healthier lifestyle. Hot Tea: Pour boiling water over tea bag in a cup and steep for 2 to 4 minutes.